Collis Primary School was designated in July 2016 as a ‘National Support School’ by the National College of School Leadership. 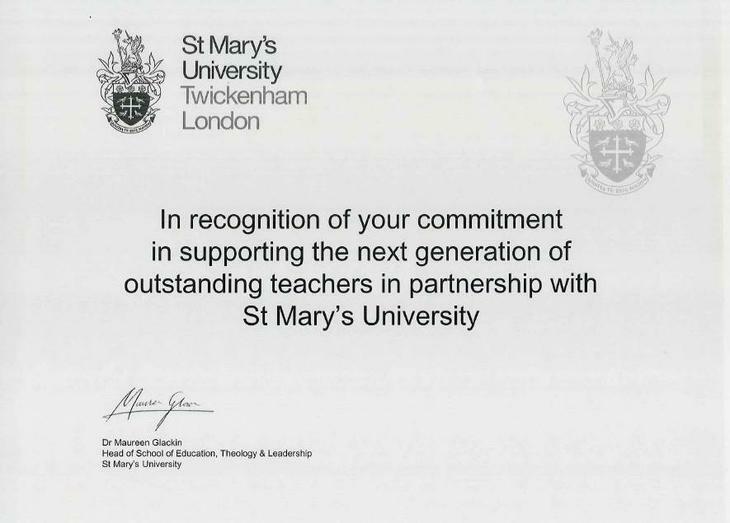 This designation is in recognition of our previous Ofsted inspections, our academic results, the work that we are doing in supporting the training of new teachers, the range of our CPD training programmes and our strong record in successfully providing school-to-school support to others that have needed our help. In all cases this support has had a positive impact on pupil outcomes. Our skilled and experienced staff offer support to a range of schools developing teaching and learning and leadership both locally and nationally. Whilst National Support Schools are designated to support schools in challenging circumstances, other ongoing support and training is available for any school who wishes to seek high quality teaching, learning and CPD support from outstanding teachers and school leaders at all levels. Our Head Teacher, Kevin Hogston, is a National Leader of Education and a professional partner to new head teachers. This designation is in recognition of his school to school support in Wandsworth local authority and his previous Ofsted inspection results. Our continuous professional development programme is available to all schools and is available to view at the foot of this page. To find out more about the CPD speakers we have welcomed to Collis Primary School since January 2016 please click here.